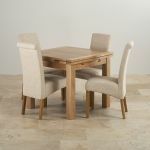 The capacious Dorset 3ft x 3ft Oak Extending Dining Table offers plentiful space for up to six people. 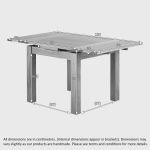 The table includes retractable leaf extension units that offer an additional area at both sides of the table. 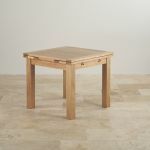 Once the extensions are not required, they easily retract and keep neatly within the table frame. 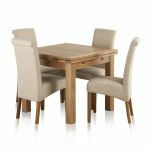 The table top and leaves are crafted from premium grade oak and all are 28mm thick, giving each piece a robust and solid feel. 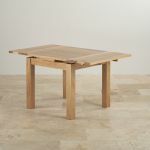 The table itself has been designed to showcase the handcrafted wood through the elegance of the grain. 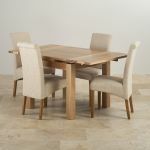 To maintain the unique look that only oak can give, simply treat with Furniture Wax 3-4 times a year. 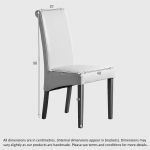 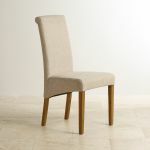 The set includes 4 modern beige upholstered dining chairs each made with premium grade oak legs. 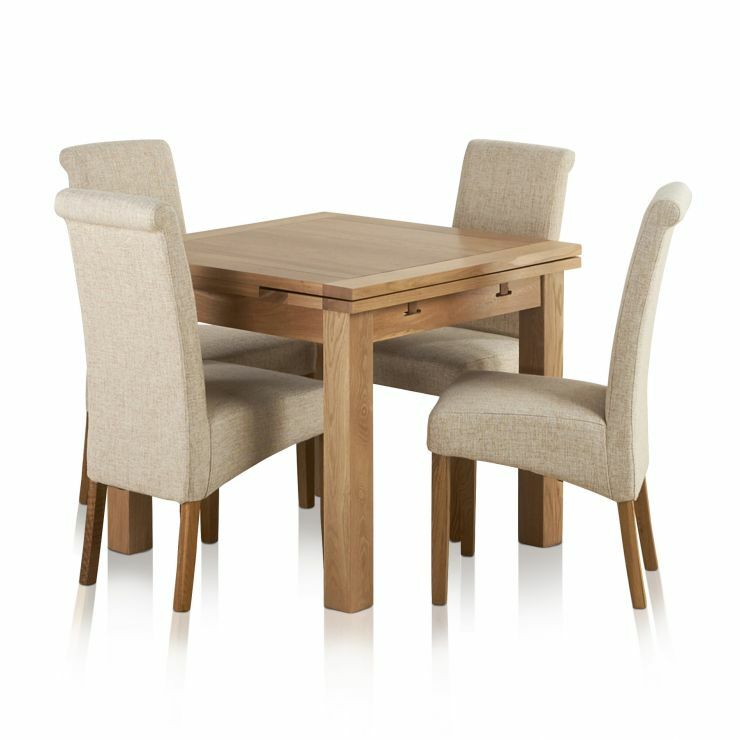 The chairs are designed with comfort in mind with a high back finish and tie in nicely with the elegant design of the dining table.